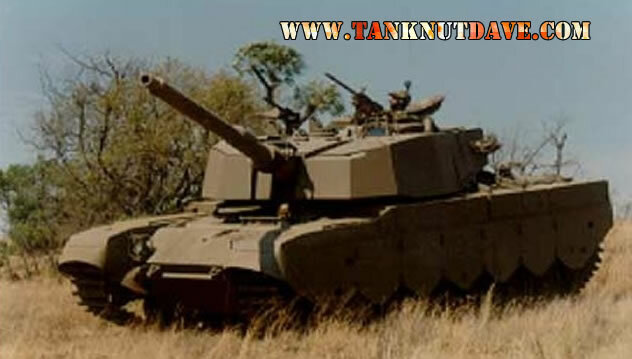 The South African Olifant Medium Tank was developed and produced by Vickers OMC, formerly Reumech OMC of South Africa, development started in 1976 and the Mk 1 entered service with the SAAC in the late 70’s. It had better suspension, turret drive, and night vision equipment. The commander had a hand held laser rangefinder. Entered production in 1983 and entered service in 1985. The main gun was replaced with the 105mm L-7 rifled gun, eight smoke grenade dischargers was installed on either side of the turret. A new engine was installed and the armour was upgraded. The Laser rangefinder was incorporated into the gunner’s sight and the night vision equipment was upgraded. New production vehicle instead of up-grading existing Centurions. Development started on the Mk 1B in 1983 and entered production in 1991. The 105mm L7 rifled cannon main gun on the Mark 1B is fitted with a thermal sleeve and carries 68 rounds of ammunition. 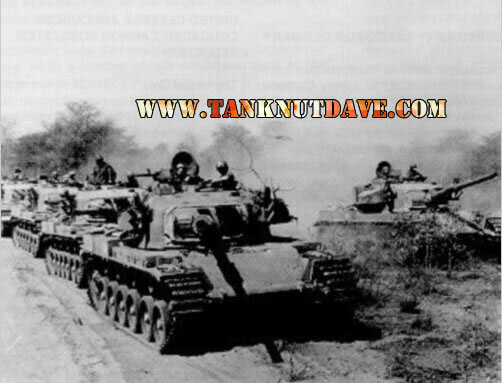 The tank is also fitted with a 7.62 mm general purpose co-axial machine gun and a 7.62 mm anti-aircraft machine gun. The driver’s station is equipped with a day and night sight and the gunner’s station is fitted with day and night sights and an integrated laser rangefinder. Due to the high number of mines deployed in neighbouring African countries, its belly armour was doubled and new side skirts added. The glacis plate and nose of the hull have been upgraded with the addition of passive armour and the turret has been fitted with stand-off armour. The vehicle can generate a smoke screen by injecting fuel on the engines hot exhaust and a fire suppression system was added to the crew fighting compartment. It has a new V-12 air-cooled turbo diesel power pack, generating 900bhp and new torsion bar suspension. It has a top road speed of 58kp/h with an operational range of 350km and can ford water to a depth of 1.5 metres, negotiate gradients and slopes of 60% and vertical obstacles up to 1m. A computerised fire control system was added and a search light over the main gun. 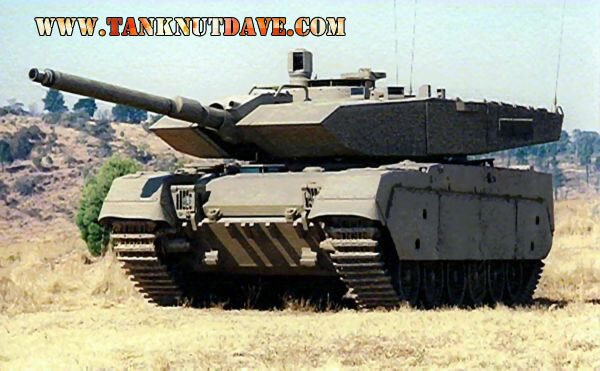 In October 2003 Alvis OMC was awarded a contract for the upgrade of a number of Olifant Mk 1B MBT’s. It includes up-grades in the power pack, fire control and training systems. The Mk 2 is an up-armoured and fire control equipment turret which can be fitted with a 120mm smoothbore cannon on the Mk 1B chassis.